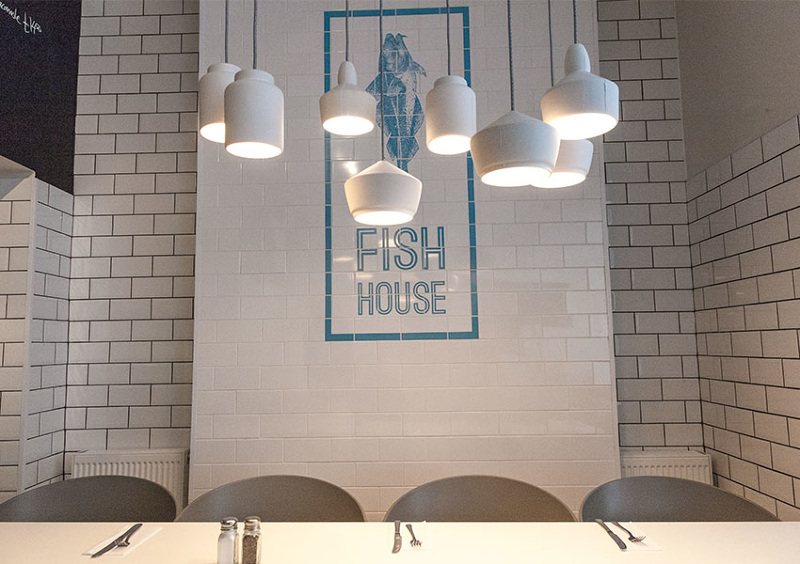 Fish House is an independent, family run restaurant situated right next to Victoria Park in East London. Serving fresh fish daily this is no ordinary fish and chip shop. Alongside the traditional takeaway area, there is a fantastic fish restaurant serving up a huge variety of seasonal fish straight from Billingsgate market. Serving everything from monkfish to mussels, the restaurant required an identity that represented the wide range of seafood on offer. Using clean, elegant typography that is reminiscent of the writing seen on boats, we created a frame to showcase some beautiful, detailed illustrations of a variety of fish that can seen on the menus of Fish House.